LABVOLUTION 2019: Save the Date! LABVOLUTION 2019: Product development. Innovations. Visions. Look forward to an exciting program with exhibition, smartLAB, conferences and events - ideal for knowledge transfer, networking and further education. 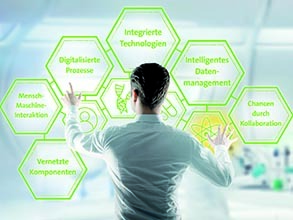 Save the date for LABVOLUTION: from 21 to 23 May 2019, you’ll find the full range of innovative laboratory equipment and techniques for optimizing laboratory workflows – at the European trade fair for laboratory technology in Hannover, Germany, with a compact layout in a single hall. It’s a quick trip to the event: From London, Warsaw, Zurich, Paris and Copenhagen you need 1.5 – 2 hours by plane. At LABVOLUTION you can network with other professionals on the latest topics, including Laboratory 4.0, laboratory workflows and bioanalytics. Added value is also delivered by formats that involve knowledge transfer, networking and further training. LABVOLUTION covers lab technology, laboratory infrastructure and analytics for users from chemicals, pharmaceuticals, the life sciences, biotechnology, environmental technology, the food and medical industries as well as research and development. 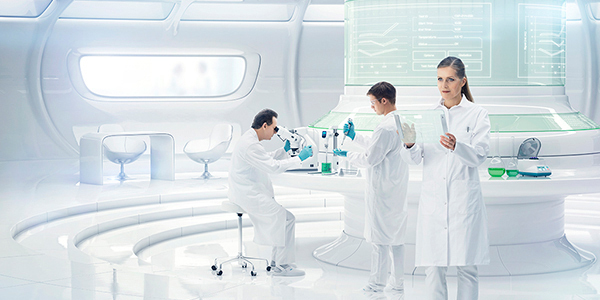 Digitization and networking are the central topics that are increasingly finding their way into the laboratory industry. You have sustainably optimized processes, procedures, methods, technologies, software, design or management techniques in your lab - what are you waiting for?